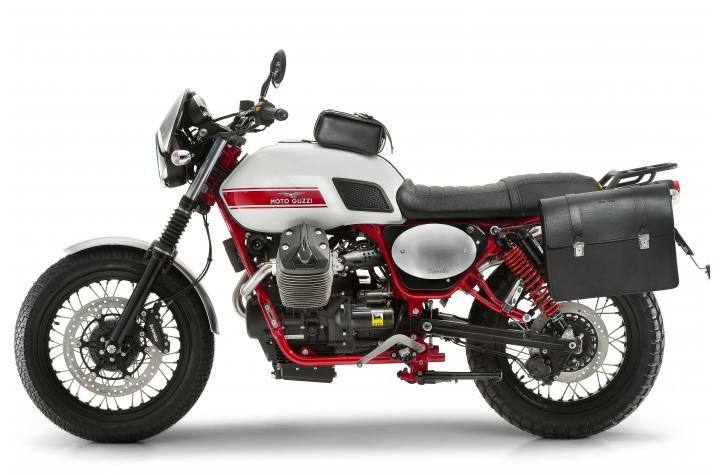 The new Stornello was built on the excellent and popular technical base of the V7 II, the second generation of the brand's best selling motorcycle, the only one in its segment that comes standard with safety systems such as ABS and Moto Guzzi traction control that can be disengaged (MGCT), as well as a six speed gearbox. 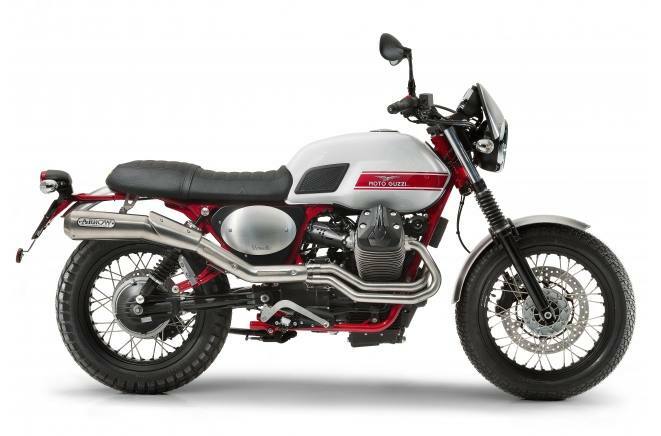 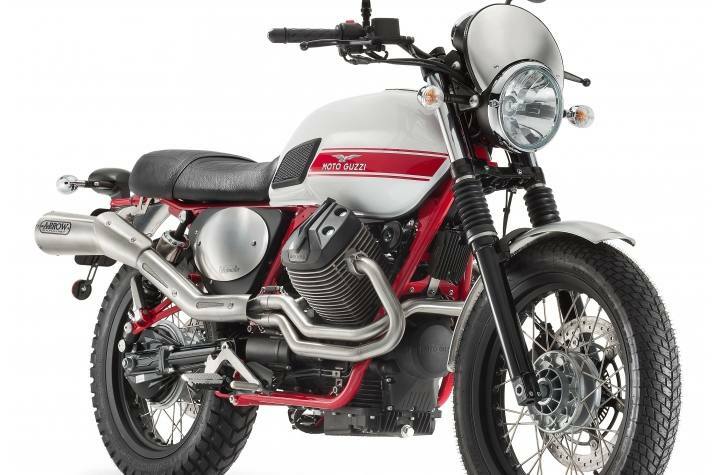 Moto Guzzi V7 II, whilst keeping the stylistic personality of the previous model intact, takes a decisive and concrete step forward in terms of technical features, the engine, ergonomics, safety, construction quality, trim and riding pleasure. 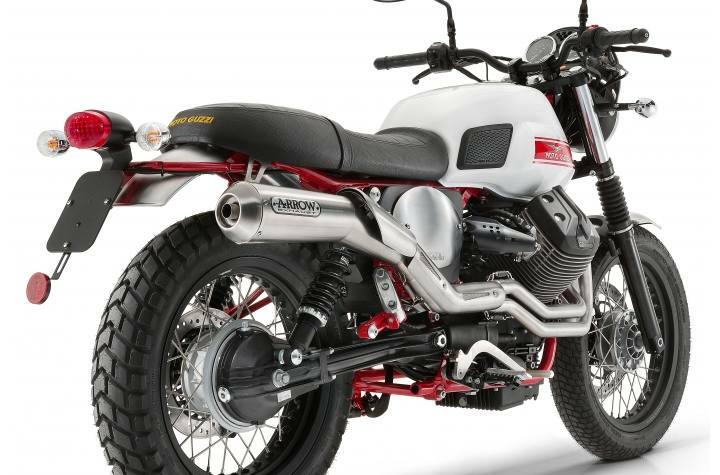 The technical revamping begins with the engine: launched in 2012 with the thermal part, the electronic management and engine fuel system which then continued with a new alternator and the introduction of forced lubrication with an oil pump, on the V7 II it reaches a new and further development level. 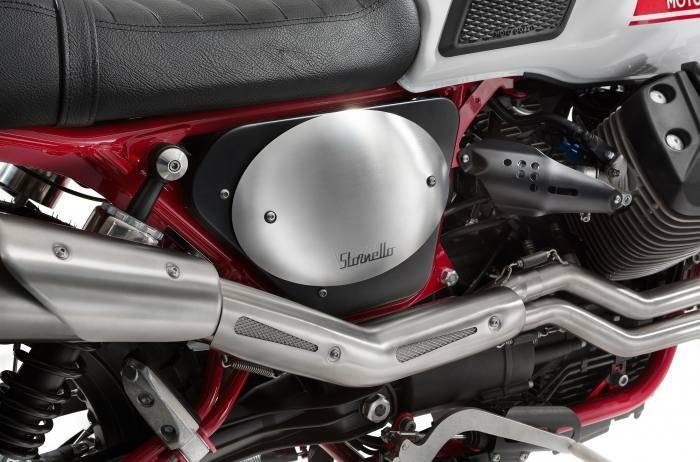 The by now famous transversal 90° V-twin engine now has a new six speed gearbox with the closer first and last two ratios capable of decreasing the drop in rpm between one gear and the other, decidedly smoother, quieter and with more precise engagement. 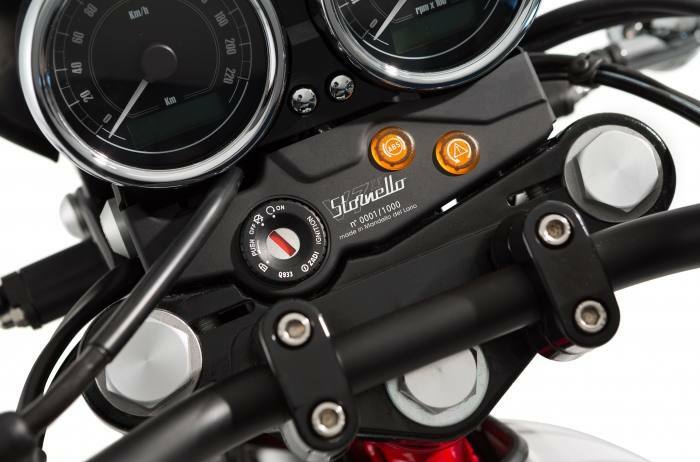 For daily riding this means a quicker response when you twist the throttle and greater comfort (thanks in part to the changes made to make the clutch softer), with lower fuel consumption.